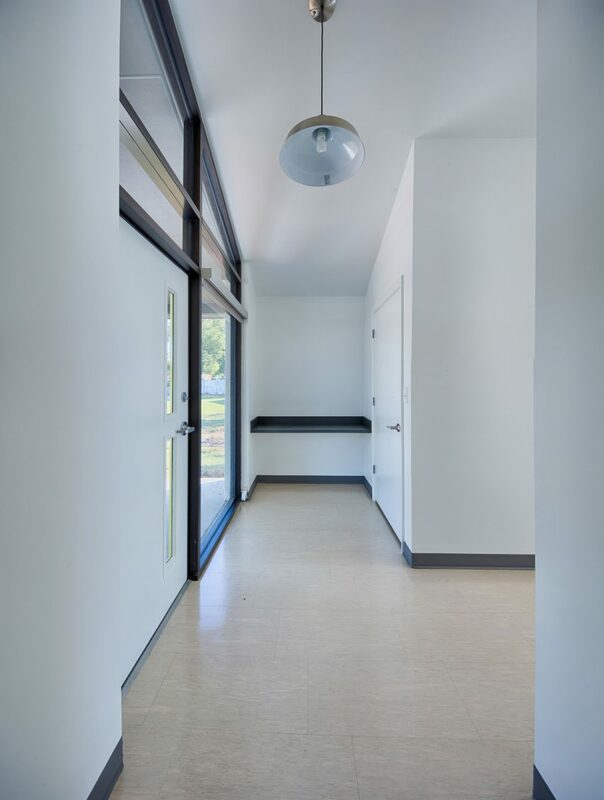 American studio Process Architecture has completed four drug rehabilitation homes that had to meet stringent design requirements, including a budget of under $200,000 per dwelling. The project was commissioned by Aspire Health Partners, a healthcare provider in Orlando, Florida, that specialises in rehabilitation services for drug users. Rehab facilities have become increasingly critical in America, where the escalating number of people addicted to heroin and opioid painkillers has been declared a public health emergency. 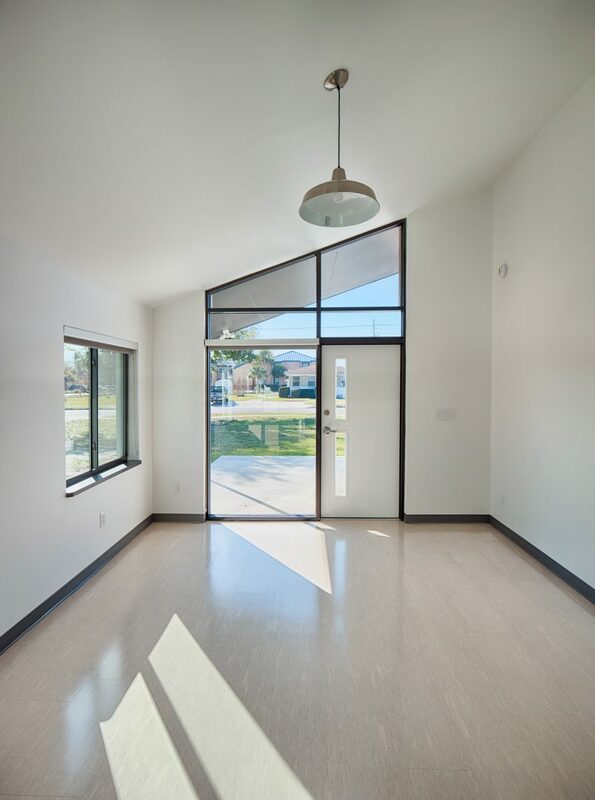 To strengthen its recovery programs, the client turned to local firm Process Architecture to create a prototype rehab house, called the Aspire House. The first homes were slated to be built in Orlando’s Holden Heights neighbourhood, which has seen a rise in heroin overdoses. 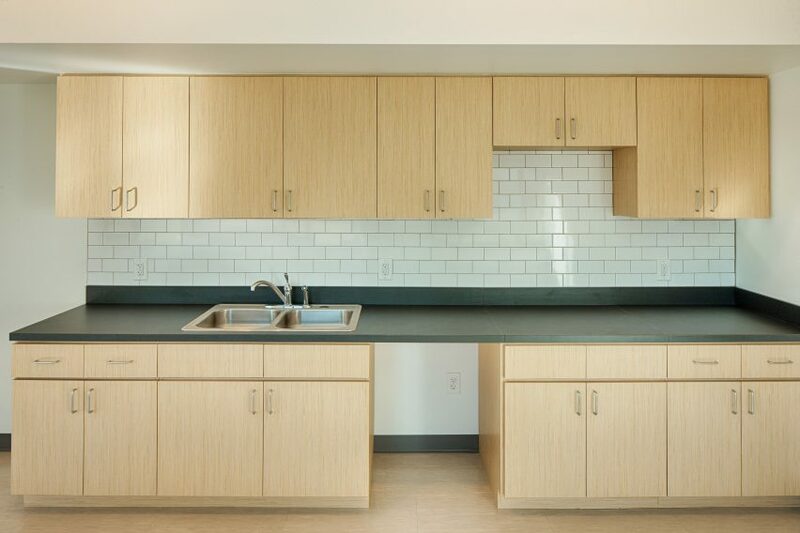 “Previously, the client operated their recovery programs in a series of existing structures, but sought to innovate and refine their methodology by incorporating design into the treatment process,” the studio said in a project description. Rigid parameters were established for the project. The home would need to accommodate three residents undergoing drug rehabilitation. The building needed to be low-maintenance and fully accessible, and it had to cost under $200,000 (£150,760). In response, the team conceived a 1,390-square-foot (130-square-metre) dwelling that features a rectangular plan and low-cost materials. The architects drew inspiration from traditional shotgun houses, which were popular in the southern US from the mid 1800s to the 1920s. The narrow, modest dwellings contained a linear alignment of rooms, with no interior hallways, and were often clad in wood or brick. For the Aspire House, the team used stucco for exterior walls, along with screens made of plastic boards that resemble wood. The structural frame is composed of concrete blocks, wood rafters, and pre-engineered wood trusses. The roof is sheathed in asphalt shingles. The studio incorporated covered porches in the front and rear elevations, which encourage occupants to spend time outside. “Activating the outdoor areas around the building fosters a sense of community and encourages residents to expand their experience at home,” the team said. Inside, the dwelling is clearly divided into public and private zones. One half encompasses sleeping quarters, while the other contains an open-plan living room, dining area and kitchen. 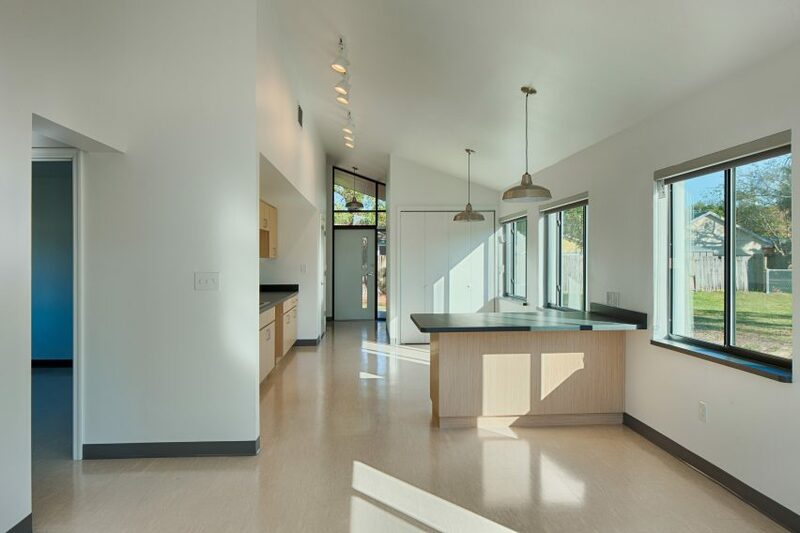 Angled, clerestory windows above the front and rear doors bring in natural light and offer views of the changing sky. “The residential concept leverages modern design principles to aid in the healing process, emphasising natural light, soaring ceiling spaces and open interior volumes,” the team said. Low-cost materials were used throughout the interior, including vinyl-composition floor tiles and basic metal light fixtures. The kitchen cabinetry is made of medium-density fibreboard (MDF) with a Formica laminate finish. So far, four homes have been built in the Holden Heights neighbourhood, each completed for $186,000 (£140,226), which equals about $134 (£101) per square foot. Two of the homes sit adjacent to each other. The architects hope the dwellings will aid in patients’ recovery process. 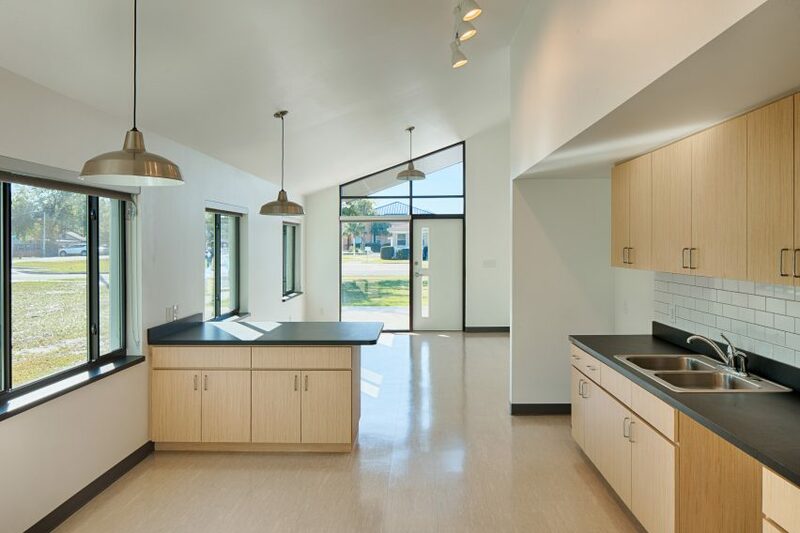 “This new affordable-housing model is not only functional, but serves to satisfy both psychological and aesthetic purposes for individuals pursuing drug-free, productive lives,” said Process Architecture. Other US projects that were designed to help those in need include an LA apartment building by Brooks + Scarpa that houses disabled military veterans and formerly homeless tenants, and a planned farming complex in upstate New York that will also accommodate and employ veterans. Photography is by Chad Baumer. 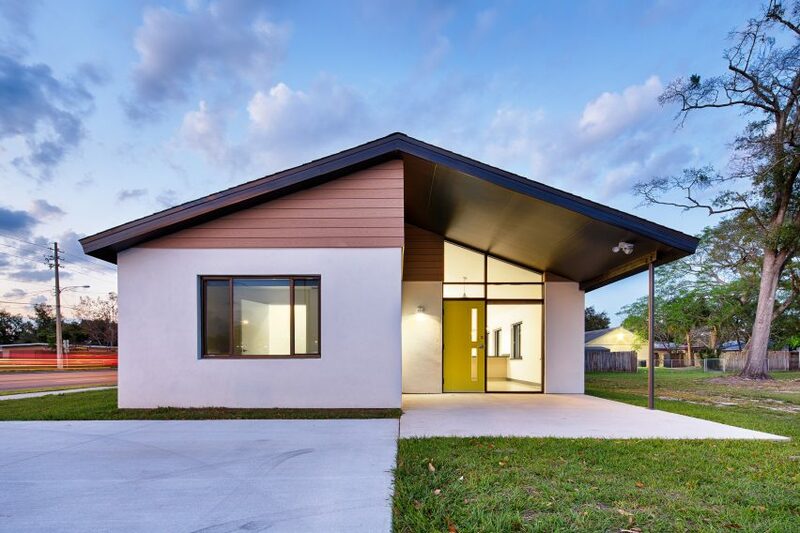 Be the first to comment on "Process Architecture designs low-cost houses in Florida for recovering drug addicts"